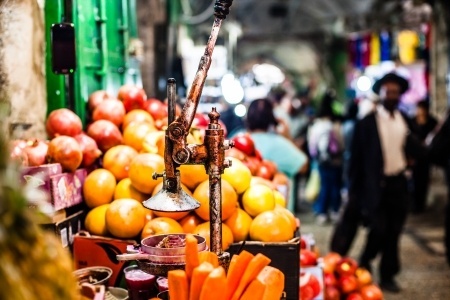 Another part of the festival will be the ‘Jerusalem Market’, opened every day from 4 p.m. to 10 p.m. at Prague’s Náplavka. Visitors will be able to taste Israeli culinary delights, fresh lemonades, and Israeli wine. They will also be able to relax and enjoy a coffee in our ‘Jerusalem café’ and read a book from one of the recently published Israeli authors. These books will be available for purchase. You can enjoy great food, drinks and books while listening to jazz, swing and dixieland, performed by the Israeli trio Black Betty. A series of lectures on different topics related to Jerusalem culture will be held as a part of the ‘Jerusalem Market’.